Luckily we didn’t loose our electricity in Halifax. That wouldn’t have been good for many people who rely on it for heat. This is the water, flour and olive oil after 6 hours. It already has some streach. So when you’re snowed in the thing to do is keep busy. What I did was make an all-day pizza crust. Usually we’re in a hurry for pizza. Saturday that wasn’t the case. No one was going anywhere. This pizza crust is an autolyse crust. 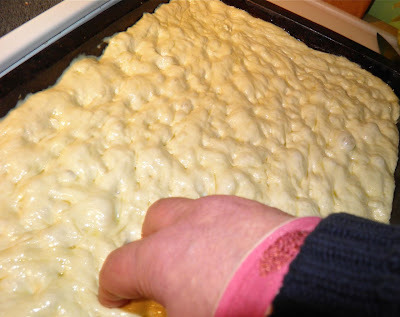 Autolysis is the technique where the water and flour is mixed and left to sit for hours. During that time it begins to change. Autolysis means “self-digestion,” which is sort of describes what happens with the flour/water. During the long resting time the gluten strands realign – similar to what happens during kneading. This crust was very interesting. I referred to it as “the champagne pizza crust.” It was very, very bubbly and light. 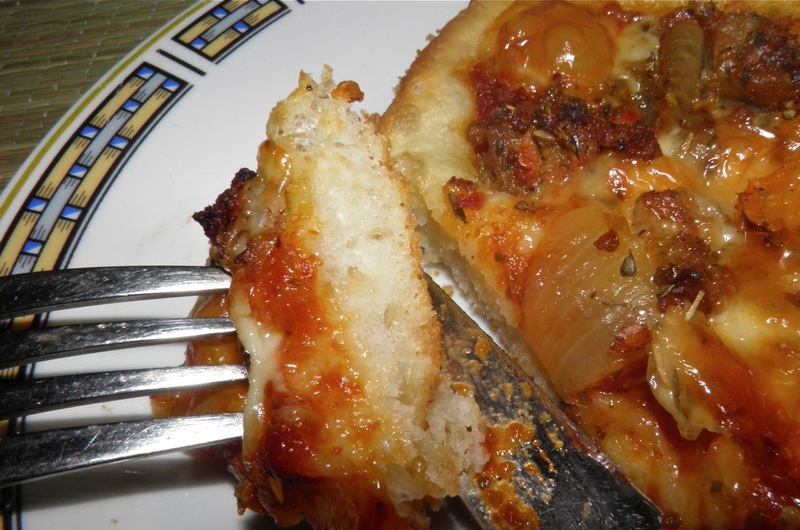 Of course you don’t need a snow storm to make this crust. It’s exactly the sort of recipe you could make on a weekend when you have errands to run. 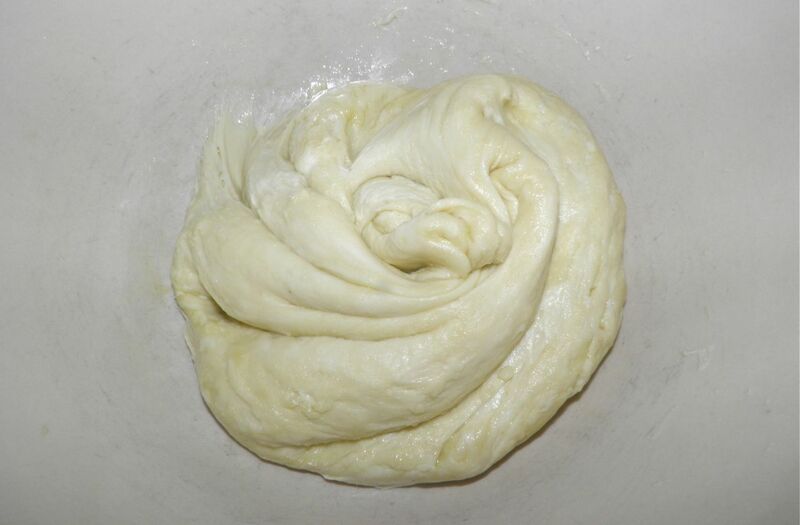 Set the dough to rest, then mix and let rise and you’re ready! I’m not writing about the actual pizza I made. That’s for later, so come back in a day or two. 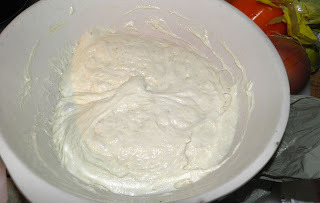 Combine the flour, room temp water, oil and salt together in a bowl. Knead briefly until mixed well, for about 2 minutes. Cover with plastic wrap and a towel and let sit for 6 hours on the counter. Pour the yeast on top of the flour/water mixture. Sprinkle with the remaining 1/4 cup flour. Knead the two mixtures together. It will be a loose, sticky mess. Cover with plastic wrap and let rise slowly (on the counter again) until doubled, about 3-4 hours. 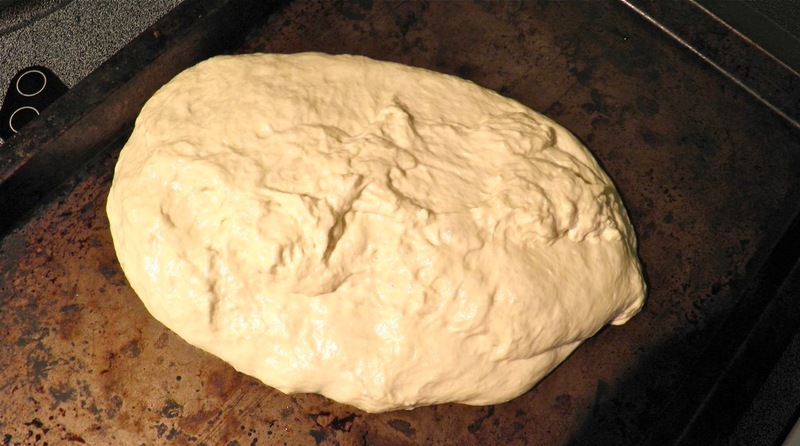 Deflate the crust and spread out onto a pan. Let rise again for 30 minutes until very bubbly. Dimple the crust down with your fingertips – with a little force – and finish with your favourite toppings. Bake in an oven preheated to 425°F for about 25 minutes.